Penticton is full of fun events that happen throughout the year. 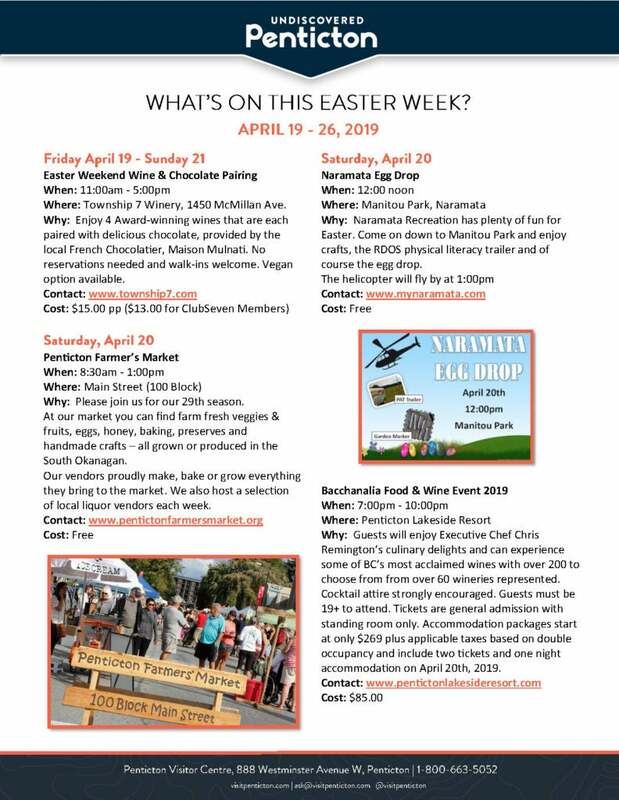 Click on the links/images below to view or download a copy of our upcoming ‘What’s on This Week’ sheet. *To subscribe to receive weekly emails about upcoming events in Penticton, click here. Please fill out and submit the event form. *Please note, events are free to advertise, but publication is at the sole discretion of Travel Penticton.